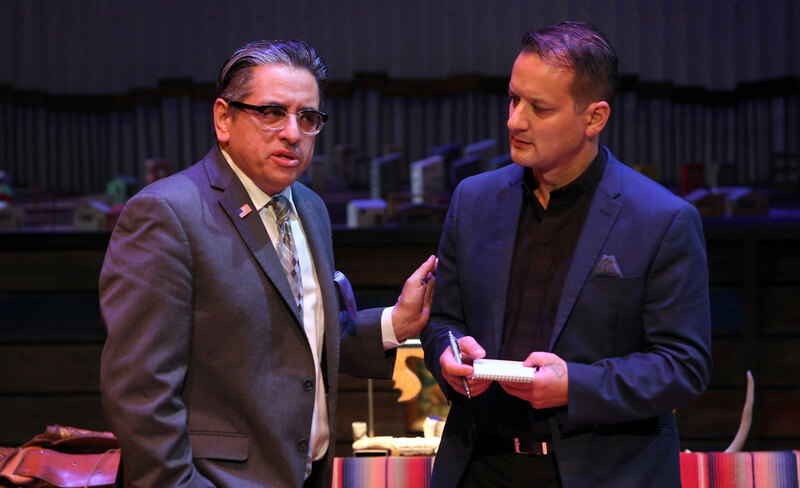 With irreverence and searing humor, Richard Montoya, famed member of Culture Clash, explores the conflicts and supersized personalities in the iconic border town of Nogales. 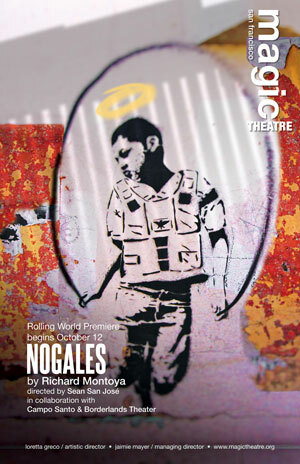 Blending a variety of historical and current sources, Nogales delivers a powerful story about a contemporary America that has lost its moral center. "Two hours after Donald Drumpf referred to “bad hombres” illegally crossing the border in the Wednesday, Oct. 19, presidential debate, Magic Theatre, in collaboration with Campo Santo and Tucson’s Borderlands Theater, opened a show that marked a stunning rebuke to the Republican candidate’s racism, xenophobia and demagoguery." 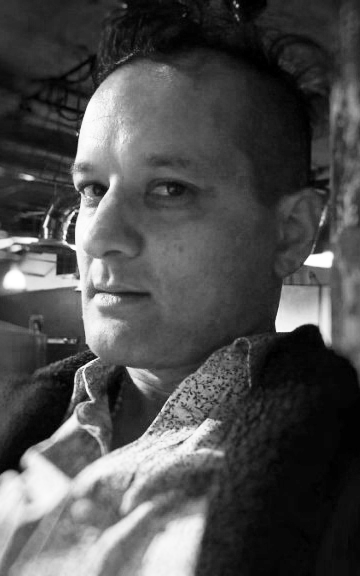 Richard Montoya (Playwright, Ensemble) is an American playwright, actor, filmmaker, and co-founder of the collective performance trio, Culture Clash, which was formed in 1984 in San Francisco’s Mission District. 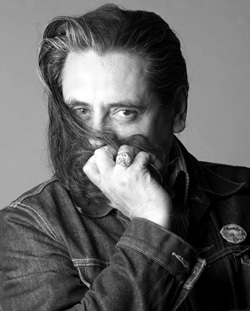 Born in 1959, Montoya is the son of well- known artist, poet, and activist José Montoya, a co-founder of the Chicano artistic collective known as the Royal Chicano Air Force. While José Montoya went to art school in the East Bay (CCAC) in the early 60’s he quickly gravitated to Berkeley and the Beat Movement still percolating in SF’s North Beach. While growing up, Montoya witnessed his family’s involvement in the civil rights movement and Cesar Chavez’ United Farm Workers movement as artist activists. He continues that legacy through his career as a playwright, actor and indie filmmaker. Through searing satire or heightened realism Montoya’s writings dig deep into the margins of America. The shadow lands: barrios, deserts, jails where characters confront racism, discrimination, and the difficulties and dangers of displacement and the ghosts of a post-colonial reality on the Mexico-U.S. border. He has co-authored several important works for the national stage and several published anthologies of plays. Among others, he has authored commissioned works for the Oregon Shakespeare Festival, Cal Shakes, Arena Stage, the Mark Taper Forum, Yale Repertory, Huntington Theater, Berkeley Rep, Getty Villa, South Coast Repertory and La Jolla Playhouse. As a solo writer he has created Water & Power, Palestine New Mexico, Anthems, American Night and The River. Montoya is an alumni of Luis Valdez’ Teatro Campesino and of the Sundance Institutes Writers and Directors Lab, as well as a two-time Annenberg Film Fellow. Montoya was also a staff writer on the critically acclaimed television show Southland. He studied drama at CSU Sacramento and graduated from the Summer Training Congress at the American Conservatory Theater in San Francisco under Artistic Director Bill Ball. Life on the Water, Asian American Theater, Stages/Studio 24 with Rene Yanez, La Pena and The Intersection are where he cut and sharpened his satirical fangs. He is writer and star of the recently released film The Other Barrio filmed entirely on location in the Mission District with producers Rene Yanez, Lou Dematteis, and Dante Betteo. Grateful for this Magic Theater debut and to be in the orbit of Loretta Greco and stardust of playwright hero Mr. Sam Shepard! Montoya dedicates his performance in Nogales to the memory of director Mark Rucker (The Birds) and to all who hazard their souls to the misfortunes of the desert. Sean San José* (Director, Ensemble) is honored and proud to be part of this project, inspired to be collaborating with Montoya once again, and thrilled to be leading Campo Santo with Joan Osato. San José directed runboyrun at Magic last season and has performed in many new works at Magic through the years, including This Golden State Part One: Delano, Se Llama Cristina, and Bruja. Again, thank you to all who talked with us, informed us, and inspired us along these last few years. San José is a co-founder of Campo Santo, a multi-cultural performance group in San Francisco. Juan Amador (Sound Designer, Ensemble) is a modern day renaissance man. Juan’s artistic resume includes emcee freestyle champion, DJ, radio host, and actor. At Magic, Juan was last seen in Sam Shepard’s A Lie of the Mind. 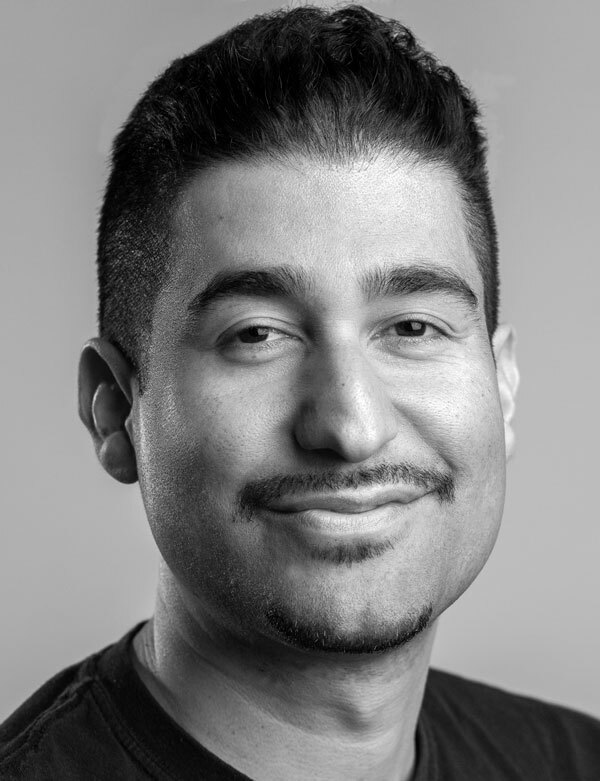 As a member of Campo Santo, Juan has appeared in the world premieres of Babylon is Burning, Endangered Species, Superheroes, Holy Crime, Block by Block, and Tree City Legends, and as sound designer for Chasing Mehserle and most recently H.O.M.E. He also appeared in Daylighting at Shotgun Players. Juan is honored to be working on this important piece with this outstanding cast and crew. Laura Espino (Ensemble) This is Laura’s first show with the Magic Theatre. This is an extra special production for Laura whose own parents immigrated here from Mexico. She was most recently seen a couple weeks ago in the comedy, Nosejob, at the Phoenix Theatre in San Francisco. Recent credits include In Love & Warcraft (Kitty) at Custom Made Theatre Company. Book of Days (LouAnn) at the Douglass Morrison Theatre. The Clean House (Matilde) at Contra Costa Civic Theatre; M. Butterfly (Renee/Girl) at City Lights Theatre Company; Exit, Pursued By A Bear (Sweetheart) at City Lights Theatre Company. Laura has appeared in various productions with Actor's Ensemble of Berkeley, New Conservatory Theatre Center, Novato Theatre Company. Other credits include: Leading Ladies (Audrey); A Streetcar Named Desire (Stella); and Spring Awakening. Laura lives in San Francisco with her partner in crime: 6 yr. old daughter, Eva. Eliana López (Ensemble) At the age of 16, Eliana started her professional work when, in a national audition process, she was selected as "Juliet" with the National Theater Company of her home country Venezuela. She also studied Latin American Literature and Writing at the Central University of Venezuela. She was part of the younger body of dancers at the Venezuelan National School of Contemporary Dance and during year 10 she studied Piano, Singing and Music Theory at the Venezuelan Superior School of Music. She has worked in theatre, film, and television in Mexico and Venezuela. Her performances gained her nominations and awards as best main actress. In 2009, Eliana moved to San Francisco. Since 2011, she has collaborated with the radio show Hecho en California with Marcos Gutiérrez in KIQI 1010 AM. 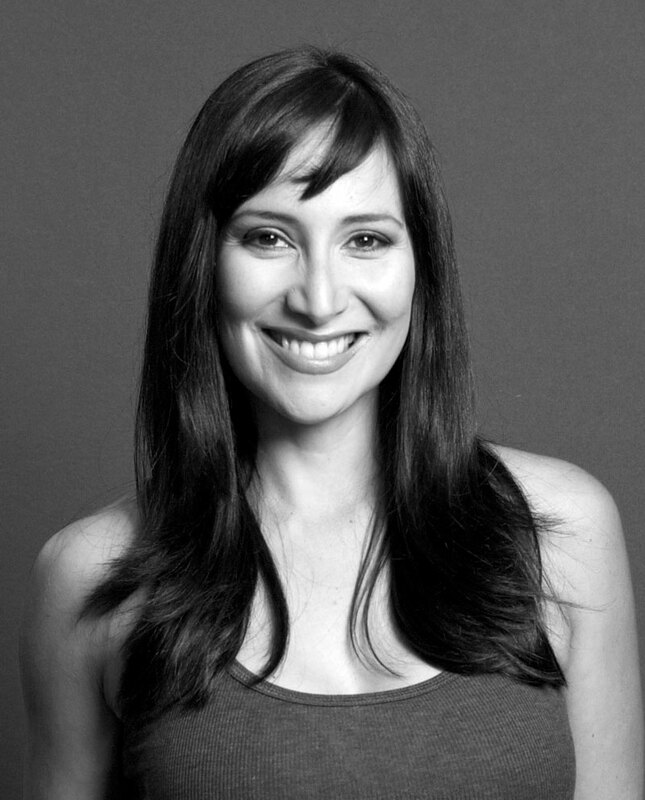 In 2014, she became a founding member of 3 Lopez Productions in San Francisco, a company formed to address the need of more Latinos in Theatre. With her brother Alfonso López (writer and director), Eliana produced her one-woman-play What is the Scandal? in 2015, which received very positive critical reviews. 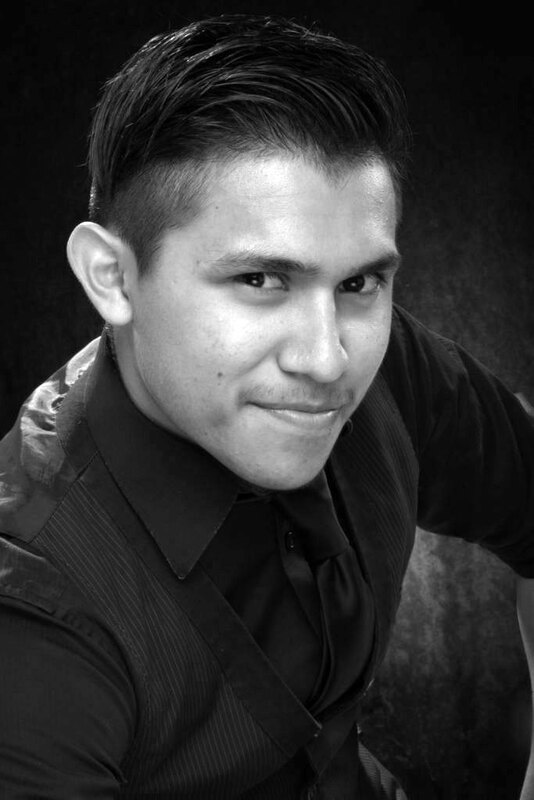 Stephen Narcho (Ensemble) looks forward to his Magic debut and another great experience as José Antonio in Nogales. A recent 2016 graduate from Cholla High Magnet School in Tucson, AZ, he looks forward to taking what his mentor Julian Martinez taught him, and applying it to his work. Stephen played a lead in Christopher Chen’s The Hundred Flowers Project showcased at Cholla during the 2015-2016 session, and later landed a role in Barrio Stories. SF Shakespeare Festival's production of The Winter's Tale around parks in the Bay Area. Last Fall she performed with Cal Shakes in The Tempest. Carla also performed with Shotgun Players, Crowded Fire, Playground, Lorraine Hansberry Theatre, and the SF Mime Troupe in the Bay Area to name a few. She is a proud member of Playground and a Resident Artist with the San Francisco Shakespeare Festival. Carla would like to thank her family for watching her 4 year old and 8 month old so she can bear witness with these fantastic actors! Kevin Johnson* (Stage Manager) returns for his sixth production at Magic, having stage-managed Dogeaters, Every Five Minutes, Hir, Buried Child, and The Other Place. Locally, he has stage-managed for Aurora Theatre Company, Berkeley Repertory Theatre, California Shakespeare Theatre, and Marin Theatre Company, among others. He also has stage-managed music, concert and dance productions, including International Russian Choral Music Festival, San Francisco Jazz Festival (with Bobby McFerrin), and Dave Brubeck's final album of his choral music, Brubeck and American Poets. Joan Osato (Video Designer, Photographer, Lead Artist) is Producing Director of Campo Santo. She served as visual designer for Alleluia, The Road by Luis Alfaro, The River by Richard Montoya, and Tree City Legends by Dennis Kim, and produced new plays H.O.M.E. by Star Finch and Chasing Mehserle by Chinaka Hodge, all with Campo Santo. She has also designed for Berkeley Rep. Her current projects include Reflections of Healing with muralist Brett Cook and Life is Living, a nationwide community development project. As a collaborator and designer of community engagement projects that hold art and social justice at the center, her work endeavors to break open new modes of narrative, employing emerging aesthetics and techniques that push the possibilities of storytelling and theatre. She is a MAP Fund recipient, and an inaugural recipient of SFAC Artists & Community Partnership Grant and Surdna Foundation’s Artists Engaged in Social Change Award. Tanya Orellano (Installation Artist, Scenic Design) is a set designer and puppet artist based in San Francisco and Los Angeles. As a core member of Campo Santo, she has conceptualized and designed sets alongside the writing process, as part of their intimate new works approach. 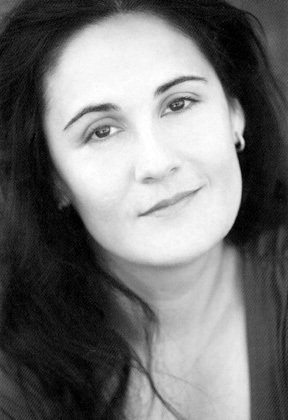 She has collaborated with directors Jonathan Moscone, Michael John Garcés, Marc Bamuthi Joseph, and theatre companies Golden Thread Productions, Laney College, University of San Francisco, SF International Arts Festival, The Embodiment Project, Edinburgh Fringe Festival, and The Living Word Project. This is the second time she has had the pleasure of designing a new work by Richard Montoya. Tanya is currently in her final year of the MFA program at California Institute of the Arts and a recipient of the Princess Grace Fabergé Theatre Award. 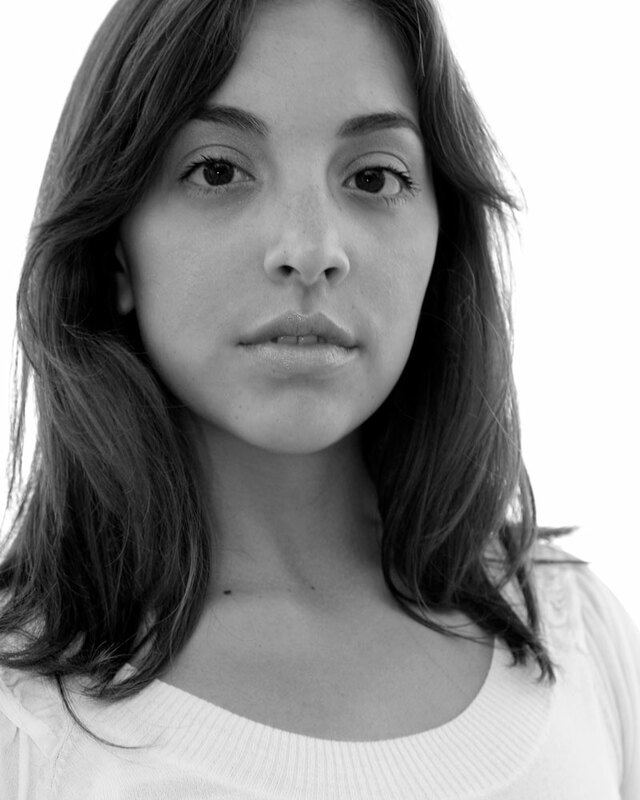 Courtney Flores (Costume Designer) is a Bay Area based Costume Designer. Recent productions include: In The Heights with Aurora Theatre and Theatrical Outfit. H.O.M.E. (Hookers on Mars Eventually) by Star Finch with Campo Santo and The Most Dangerous Highway In The World with Golden Thread Productions. Upcoming productions include Our Enemies: Lively Scenes of Love and Combat with Golden Thread Productions. She is a member of Campo Santo, Bay Area Latino Theatre Artists Network and serves on the Latina/o Theatre Commons Steering Committee. Courtney is also Lead Curator for La Esquinita, an online monthly series profiling Latina/o Theatre Designers and Technicians. Alejandro D. Acosta (Light Designer) is a Bay Area based designer and educator and a member of Campo Santo since 2009. He currently manages the Odel Johnson Performing Arts Center at Laney College, where he teaches technical theater. Borderlands Theatre led by Producing Director Marc David Pinate, is dedicated to championing the development and production of new plays while producing plays by established playwrights whose work resonates with the diversity of our audiences; partnering with regional civic organizations to foster diversity (geographic, cultural, and ethnic) in play development and productions, and producing diverse and quality programs for youth. Borderlands, located in Tucson, Arizona, is a professional theater company recognized nationally and internationally for the development and production of theater and educational programs that reflect the diversity of the voices of the U.S./Mexico border region. Although focusing on the Latinx/Chicanx/Mexican voice as the core voice to nurture and support, Borderlands works interactively with all voices of the region. The “border,” both as physical and social landscape, is a metaphor for Borderlands’ work. The metaphor allows, invites, and even demands both a regional and an international understanding of what it represents. Border people, in the best sense of the word, are citizens of the world. Campo Santo Founded in 1996, Campo Santo is an award-winning multi-cultural ensemble committed to developing and premiering new American Theatre and to nurturing diverse new audiences for the performing arts. Spanish for sacred ground, Campo Santo uses the sacred form of storytelling as a tool to bond community through socially relevant plays, introducing the audience to the world of Campo Santo and cultivating audiences that reflect that diversity. At Campo Santo’s core is a New Play Development Program that cultivates playwrights, poets and fiction writers of exceptional vision. It’s widely regarded “Open Process” development program invites in communities to question and engage with works that affect them. Campo Santo has presented over fifty World Premieres to standing room only crowds. Campo Santo focuses on fostering longterm relationships with writers that emphasize the collaborative creative process and that aim to tell the stories of immigrant and marginalized communities and infuse the tradition of theatre with vital new life. Campo Santo has fostered relationships with internationally known writers who are leaders in developing work that is broadening and diversifying the American voice - including Jimmy Santiago Baca, Philip Kan Gotanda, Jessica Hagedorn, Naomi Iizuka, Denis Johnson, and Octavio Solis, to name a few.